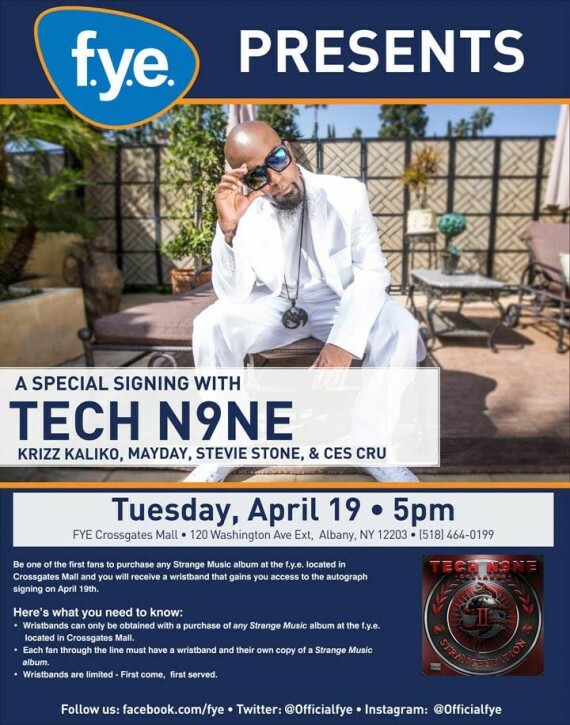 Tech N9ne and the Strange Music crew are making a stop for a special signing event! 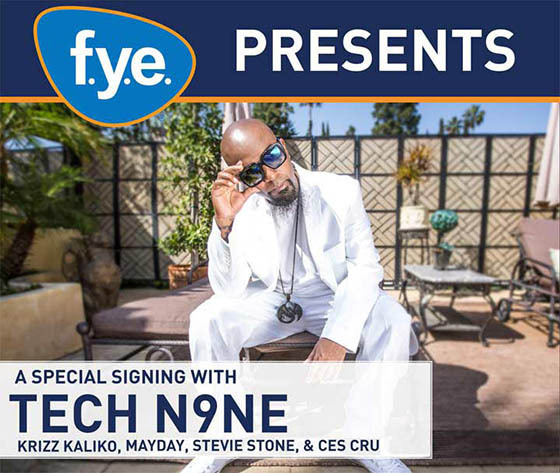 Tech N9ne’s Independent Powerhouse Tour is stopping in Albany, NY for an F.Y.E. in-house signing! Meet all of your favorite artists on the tour in one spot on April 19! Read the flyer for more information!